Queen-Sized Bed Frame Just $41! Down From $99! PLUS FREE Shipping! You are here: Home / Great Deals / Amazon Deals / Queen-Sized Bed Frame Just $41! Down From $99! PLUS FREE Shipping! Amazon is now offering this Queen-Sized Bed Frame for just $41 down from $99 PLUS FREE shipping! The Next Generation Bed Frame – The Deluxe Smartbase Mattress Foundation by Zinus is a complete mattress foundation solution for spring, latex, and memory foam mattresses. 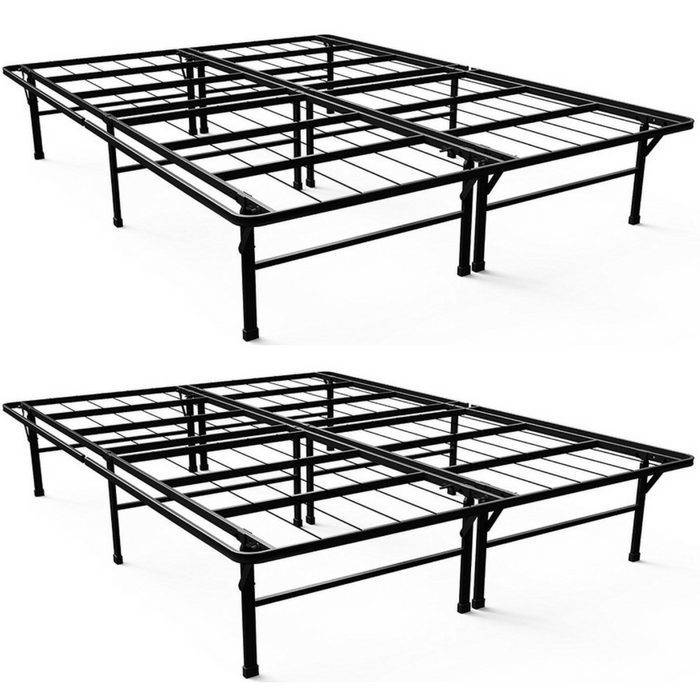 The strong metal Platform Bed Frame eliminates the need for a box spring and frame. The folding design allows for easy set-up with no tools required, and easy movement through tight staircases and doorways. The metal bed frame with reinforced edges, provides durability and strong mattress support which prevents sagging and increases mattress life. The legs are recessed for safety and the unique t-shape with locking system provides stability. Plastic caps protect your floors. 14 inches high with 13 inches of clearance under the frame for valuable under bed storage space. Replaces bed frame and box spring.